I've owned the Treo Pro for about a month now and I'm very pleased. I had to return the first one because of bad hardware (malfunctioning keyboard). But, since I got the new one, it's been terrific. Solid, great reception, long battery life, easy to use. I've been very impressed with the reception and after moving from an iPhone, I was amazed at how well it not only picks up networks, but consistently stays on 3G networks. I've also found the phone very fast and though I'm not much of a touch screen fan, I even use the touch screen soft keys. Love the size and configuration. It fits easily in my pocket and seems to be holding up well. They keys are a bit small, but I manage and have not found this to be a show stopper. I've had one issue with the Wi Fi. It will not pair with my home wireless. I have a new Cisco (Linksys) N router and the Palm won't pair with it. I called both Palm and Linksys and, of course, they blamed each other. But, I did find info online where others had the same problem. Since I don't use the wireless much, especially at home, so I'm ignoring this shortcoming. All-in-all, liking the Treo Pro, which is my first Palm smartphone. This is probably the best smartphone I've owned. I have been using the Palm Treo Pro for three weeks. Battery Life is much better than any of previous smartphones I have used (HTC Diamond, HTC Touch Dual, HTC Touch, Palm 750V...). I would need two charges per day on those while I only need to charge the Treo every two days of heavy use. Keyboard and camera resolution are not the best. I also miss a storage card. The menus are not as attractive as on the HTC's but Windows and all the applications run much faster. So far I have't restarted yet. Wifi works great. Probably Best value Windows smartphone today. Anonymous, 04 Nov 2008Seriously, Palm is struggling to compete with the big boys such as nokia, samsung, lg, SE , ht... more"This spell end of Palm, don't you think.. I guess Palm knows this and is a matter of time, they retire, buried and forgotton." This phone is absolutely great! I own a little company and this phone has had a huge impact on my productivity and I am planning to equip the entire company with Treo! It is fast, its GPS is excellent and the battery life is very good. I have owned many Blackberrys and even the iPhone, but this phone is sooo much better. I strongly recommend it to everyone!!! Its great but i still prefer the Blackberry Bold 9000, 'cause the battery last longer!! Litvak, 05 Nov 2008em.. Touch HD is more expensive becouse... besouse come on... screen, camera... X1 is more exp... moreI agree, they have bigger screens, but if you need a good business smartphone with both wifi and gps I think that Treo Pro is quite a good and affordable deal. But of course, if you are planing to watch movies on it or using it as a digital camera, then HTC or SE are better. The main reason why I have a positive opinion about this phone is that the vast majority of people who bought it are very satisfied with it - it is stable and has very good expansion capabilities. If you have some time, go to one of many Treo-related forums or read some reviews - they are very positive about it. hgradeca, 04 Nov 2008Come on, I really don't know what are you talking about! OK, Palm had many problems and didn'... moreem.. Touch HD is more expensive becouse... besouse come on... screen, camera... X1 is more expensive becouse qwerty, screen... they are more expansive just becouse they are much better... there is a nokia phone, that has a black and white screen with no camera and it is only 10$... so I could say that Palm is expensive... its like saying that Rolls Royce is wors than opel just becouse it is much more expansive.. Anonymous, 04 Nov 2008Seriously, Palm is struggling to compete with the big boys such as nokia, samsung, lg, SE , ht... moreCome on, I really don't know what are you talking about! 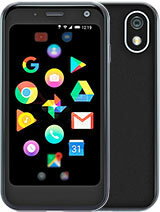 OK, Palm had many problems and didn't innovate for quite a long time, but their every new phone is a hit - Centro, although low end is highly popular and they are selling huge amounts of them. And regarding Treo Pro - don't compare it with htc or other companies - it has smaller screen and little bit less memory, but it has gps, wifi and all other high end features for about 200$ less!!! That's right - Treo Pro costs around 500$ unlocked. Look at toher manufacturers - there are no such capable phones in this price range. For example - Sony ericsson Xperia costs more than 700$ and HTC Touch HD also. If you don't like Palm, it's your problem, please don't bother the rest of us with it, because this really is a great phone and I stromgly recommend it. Seriously, Palm is struggling to compete with the big boys such as nokia, samsung, lg, SE , htc etc. Just look at the offerings put up by Palm in the last one year... anything interesting, technologically advanced? or great design.. not at all. Nothing out there seems to be a crowd favourite. This spell end of Palm, don't you think.. I guess Palm knows this and is a matter of time, they retire, buried and forgotton. Anonymous, 01 Jan 1970Hi. I bought an Australian (Telstra) Treo Pro. My Vodafone SIM card slots in nicely (although it's tricky to get the back off!) and attaches to the Vodafone NZ 3G network. pao, 31 Oct 2008i think this phone has great feAtures. my question is:does it sync with macintosh? thx.Yes, it can sync with mac. i think this phone has great feAtures. my question is:does it sync with macintosh? PDA User, 22 Oct 2008I am kinda lost here on the connection part of this device. Everytime I hit the internet k... moreI have the HTC Touch that runs under Windows Mobile 6 and I was able to do it. So the solution should be the same. Do the following. Go to Configuration/Connexions. Select Connexions. Then go to the tab Advanced. Click on "select networks". Then for each type of connexion you enter in "edition" and go to proxy settings and there you uncheck "This network connects to internet". You do this for all type of connexions. This avoids your pda to connect via GPRS to download data automatically. It will only connect when you use Wifi. While on a conversation the touch screen remains on...is there a way to disable the backlight while on a conversation? I am kinda lost here on the connection part of this device. i have had the troe pro for one week now still have not had to reset it both soft or hard if you are a phone addict like me thing i dont need to tell you all the stuff this phone dose just to say buy it you wont regret it and for the blackberry users out there come home like that text looking crap phone go your paying all that extra money for nothing. trust me i can afford any phone and any plan out here to date and i had the blackberrys and thereall junk you can do the same thing on a windows phone at haft the price!!!!!!!!!!!!!!!!!!!!!!!!!!!! oh ya by the way i still think iphone is the best phone ever the only thing this phone has that the iphone dose not is dropped calls and missed call i dont have that any more!!!!!!!!!!!!!!!!!!!!!!!!!!!! Please, choose Nokia E71, better battery lifetime!, better keypad, better sound quality, better handled, and more charming!